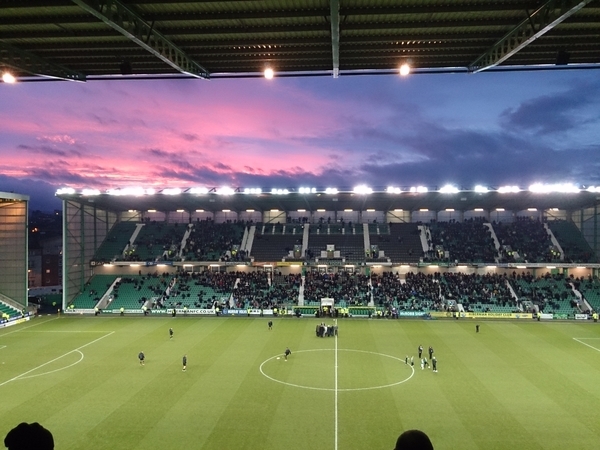 Generous Hibs’ fans have raised over £4,000 to purchase tickets to allow kids from local community groups to attend Saturday’s Scottish Premiership Play-Off Semi-Final Second Leg against Rangers (kick off 12pm). Collections from Leith Links and the Hibees Bounce have resulted in tickets being distributed to a range of community groups linked to the Hibernian Community Foundation through Kicks for Kids and other initiatives, meaning over 300 kids and accompanying adults will be at Easter Road to cheer on Alan Stubbs’ team. The beneficiary groups include: Kinsfolk Carers, CCLASP, Canongate Youth Project, Deaf Football Club, Dads Work, Bingham Community Centre, Pentland Comm Centre, Venchie Children and Young People’s Project, Street Soccer, Jack Kane Centre CW, Gorgie Mills School, The Yard, Lothian Autistic Society, Dean and Cauvin Trust, Granton Youth Club, East Lothian Foster Carers Mens Group, Pilton YCP, St Ninian’s Youth Club, The Ripple Project, Dunedin Carers Association, Seaview Children’s Respite Centre, The BIG Project, 6VT, Kids in Care, Sick Kids Friends Foundation, Drylaw YPC, Lothian Villa Children’s Home, Carrick Knowe Primary School, Citadel Youth Centre, Kids in the Street and Fort Community Centre. The Club would like to thank all supporters who have contributed with donations, helping to develop the next generation of Hibs fans and providing a memorable opportunity for kids who may otherwise have not have had the chance. A big thanks also to Susan from Leith Links, Jamie from Hibees Bounce, Sue at the Hibernian Community Foundation and others who have helped in the collection and organisation of the tickets. Kicks for Kids is an initiative that gives kids the chance to attend Easter Road Stadium throughout the season. Supporters can donate towards Kicks for Kids season tickets for 2015-16 through Leith Links or by contacting tickets@hibernianfc.co.uk.